See all the comments at the bottom of the article on National Geographic Travel: Why Now is the Time to Visit Nepal. If you’ve ever considered a trip to Nepal—or even if you haven’t—plan one now. You will help the Nepali people and, without a doubt, enrich yourself. More coming this spring. Check back here or follow me on Twitter to see them when they publish. I was recently invited by Courageous Creativity to share my thoughts on travel, adventure, and my path to becoming a writer. Think about the title: Courageous Creativity. It’s spot on. The truth is, it takes courage and vulnerability to share creativity with the world. You have to bare a bit of your soul. The idea behind Courageous Creativity is to present stories of courage, creativity, and change from people from all over the world and from all walks of life. The November issue focuses on people who have found their vocation and creative expression in the act of exploring, adventuring, and being with nature… impacting their own lives as well as the lives of others in transformative ways. I am honored to share my thoughts in this issue. I hope you’ll take a moment and read my interview. 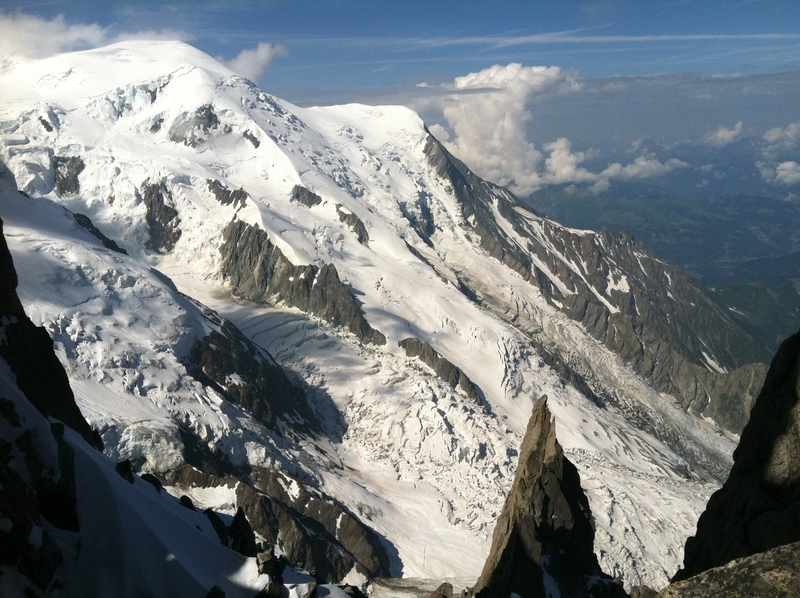 Last year I attempted to climb Mont Blanc—and failed. Or did I? After the scent of the peak drifted away—like dreams lost to whimsical wafts of wind—I discovered that it’s about more than bagging the peak. It’s about all the steps along the way, wherever they lead. The mountains make the rules. My guide quoted, “When you dance with the mountains, they always lead.” And I realized that if you follow their lead, you might just find a graceful waltz that opens a world of adventure and lets your spirit soar. UK-based Travel Chronicles has just republished an essay I wrote about my experience. Check it out. Magnificent Bonaire stands firmly on a pinnacle, reigning supreme over all other shore diving destinations in the world. With a decidedly rugged character, this charming Dutch island in the southern Caribbean skips chain hotels and instead woos dedicated divers with easy access to underwater wonder. 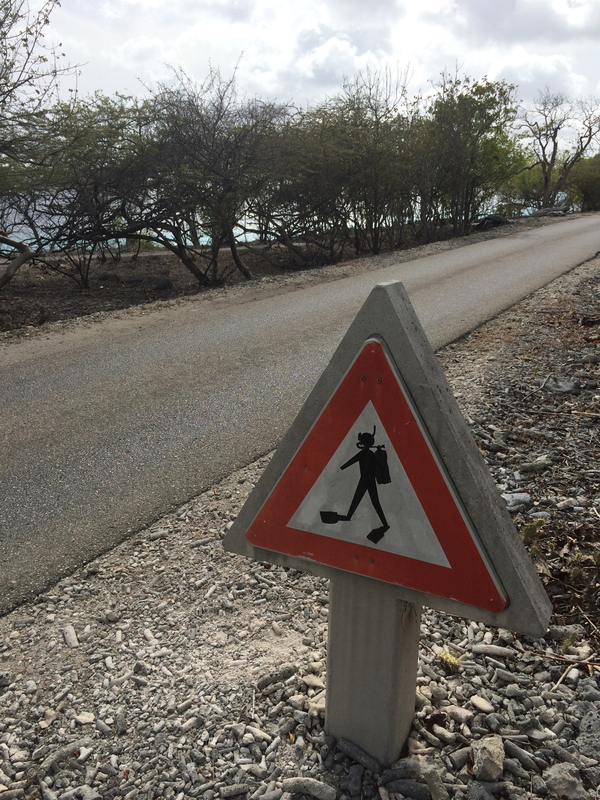 To experience the glorious joy of shore diving in Bonaire, just follow the yellow brick road. Dive sites are as abundant as the fish that dart among the reef’s vibrant coral gardens. If you’re a diver, you simply must visit this place. Read more on National Geographic Travel. Nguyen Thi Hao, a Vietnamese woman whose thoughts still lingered on an American soldier 30 years after the war. 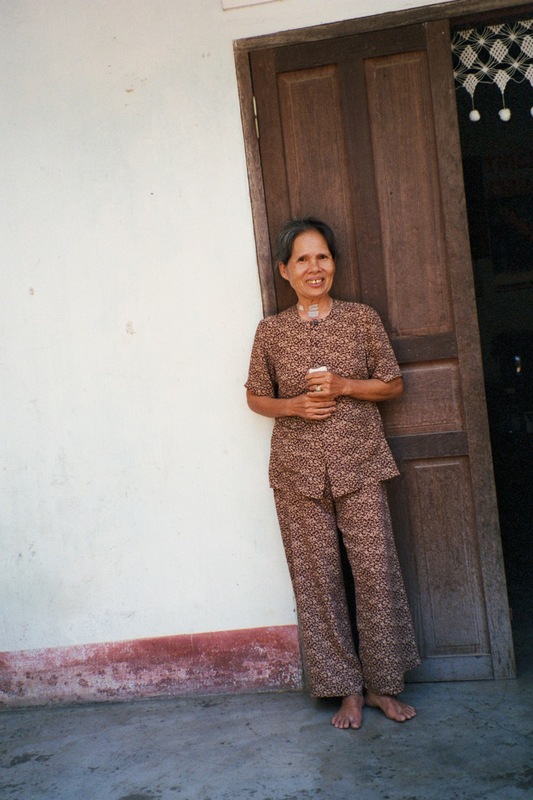 A stooped, wrinkled Vietnamese woman stares at me with a pleading look, clutching a faded photograph in her frail hand. A prim and proud American soldier beams from the cracked print. “Can you help me find him?” she begs. My heart breaks. We’ve met just moments before, yet already I feel like I have a window into her soul. I’m curious but filled with trepidation. Having been in Vietnam for only a few days, I’m still trying to rectify reality with images of war from my childhood. My mind flashes back to 1978—five years after the United States withdrew its troops from Vietnam. I’m a sheltered eight-year-old, sitting wide-eyed in a dark movie theater, watching The Deer Hunter. I had no idea what the movie was about before it started. It is chaotic and terrifying. The sounds of war ring in my ears. Helicopters spray napalm on a Vietnamese jungle, exploding it into a raging inferno, as villagers scatter, some ablaze. I shudder at the cries of terror. The scene flashes to a sweaty, crazed-looking Christopher Walken jamming a revolver into his temple, forced by his angry Vietnamese captors to play Russian roulette. Later, American soldiers frantically claw their way through a steamy jungle river, trying to stay out of sight, as bullets whizz overhead. The horrifying scenes burn themselves into my memory and haunt me for decades. Twenty-four years later, I venture to Vietnam. By this time, I’m 31—well educated, well traveled, and accomplished. I’ve taken a year off work to roam the world with my husband, and Vietnam is the eighth country on our backpacking route. 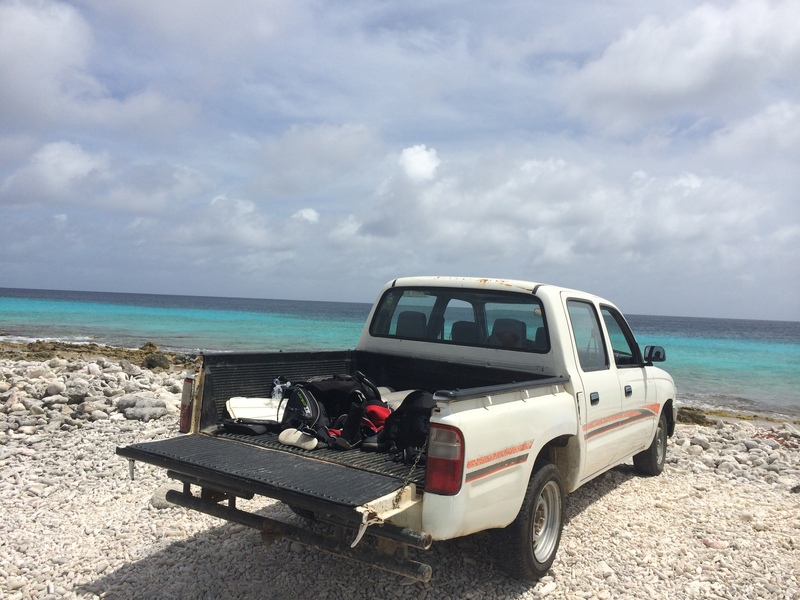 I’ve been cruising on the back of my guide’s motorbike for two days when he says there’s someone he wants me to meet. We approach a remote outcropping of plywood houses around midday, just as the hot, humid air starts to sap my energy, draping me in a cloak of lethargy. Jungle shrubbery grows in chaotic tangles, conjuring up images of camouflaged troops lying in ambush. Chickens dart across dirty yards. Barefoot children stare at me in curious wonder. A primitive house stands two feet up on stilts, just a faint hint of paint still clinging to its sides. Then I meet the woman. “Nguyen twang phao pho ching,” tumbles from her lips. She scribbles a couple of names on a scrap of paper. “She wants to know if you can help her get in touch with this American soldier,” my guide explains, pointing to the paper. I look at the photograph. “I’d love to help. How does she know him?” I ask. “She met him during the war. They were good friends. She wants to know how he’s doing,” my guide says. “Wow. She’s held onto his photo all this time?” I ask. It’s been 30 years of hard living, and this dear little lady still aches to know what happened to her friend. My mind conjures up a passionate, forbidden affair—him, a scared and lonely serviceman; her, a beautiful young girl, perhaps discovering love for the first time; between the two, a precious human connection that transcends the conflicts of war. My guide tells the woman what I said. As she listens, her eyes light up and she starts nodding her head excitedly. He turns back to me. “I don’t meet many Americans. You seem nice and trustworthy, and I thought you’d want to help. That’s why I asked you,” he said. With that, we smile, wave and say goodbyes in our strange tongues. The silent language of gestures communicates a promise I vow to keep. No one answers. The mystery lingers. What happened to Sargent Wilkinson? Was he gunned down in a leech-ridden swamp? Or did he return home from war? Did he marry? Have kids? Did he ever pause in thought, fondly recalling his sweet Vietnamese girlfriend? 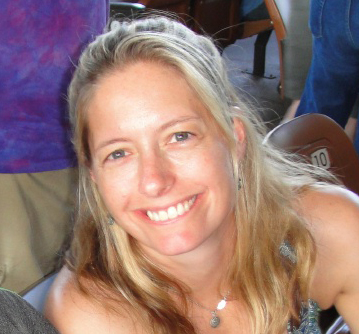 Twelve years later, this woman lingers in my mind, putting a human face on Vietnam. She helped me look past the war and see a beautiful country with real people leading real lives and sharing real pain and real joy. Travel helps us see that people are people the world over, craving human connection. Like a soldier and a lover, or an American traveler and an old Vietnamese woman—our lives intertwine one interaction at a time.